Ripped legs and a button fly give a well-loved vintage feel to Lucky Brand's Bridgette skinny jeans. Day or night, Lucky Brand's Bridgette skinny jeans' flexible style will adapt to your look. 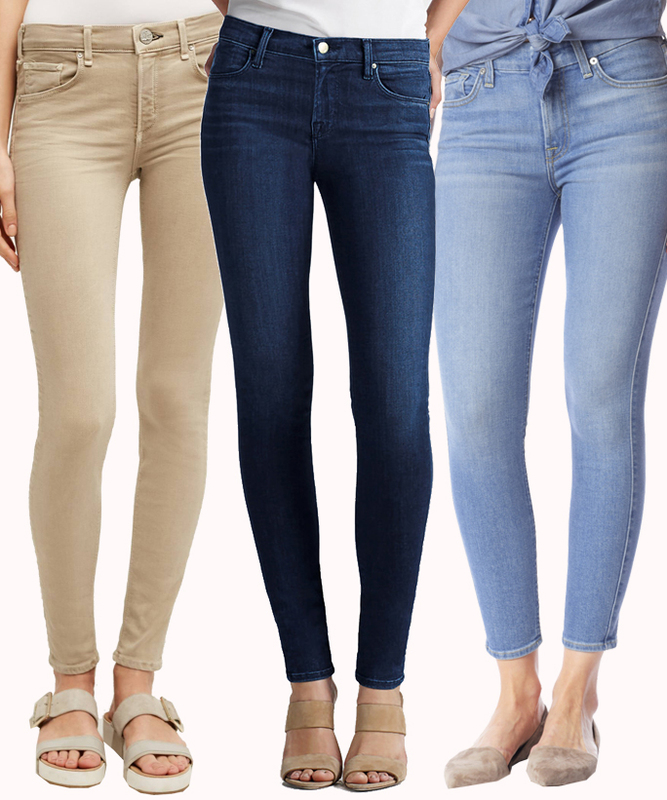 A raw hem balances a sleek silhouette in the Bridgette skinny jeans from Lucky Brand. Do denim right in these skinnies by Lucky Brand, complete with a versatile faded dark wash for casual-cool vibes. Lucky Brand blends a vibrant wash with a frayed hem for added fun in the Bridgette skinny jeans. A frayed hem adds downtown edge to these sleek ankle skinny jeans from Lucky Brand.